A perfect picture book for toddlers on the go! All toddlers live by the pleasure principle. For them, fun times always end too soon. So often they either turn a deaf ear to the words "It's time to say bye-bye" or simply throw a tantrum. What is the solution? 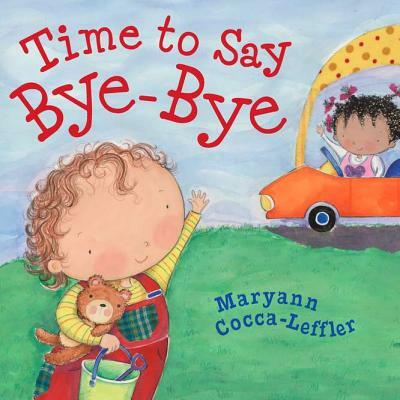 In this warm-hearted picture book, Maryann Cocca-Leffler follows a toddler from morning to bedtime, showing that all saying "byebye" really means is that you're ready to say "hello" to the next fun thing on your "agenda." With a bare minimum of words, and playful artwork, this is one of those rare read-alouds perfect for very young children.